The 1x 10GbE Ethernet line module provides 10GbE service across a single port with true hitless/zero second switching and path diversity for demanding data applications such as Remote Production/REMI. 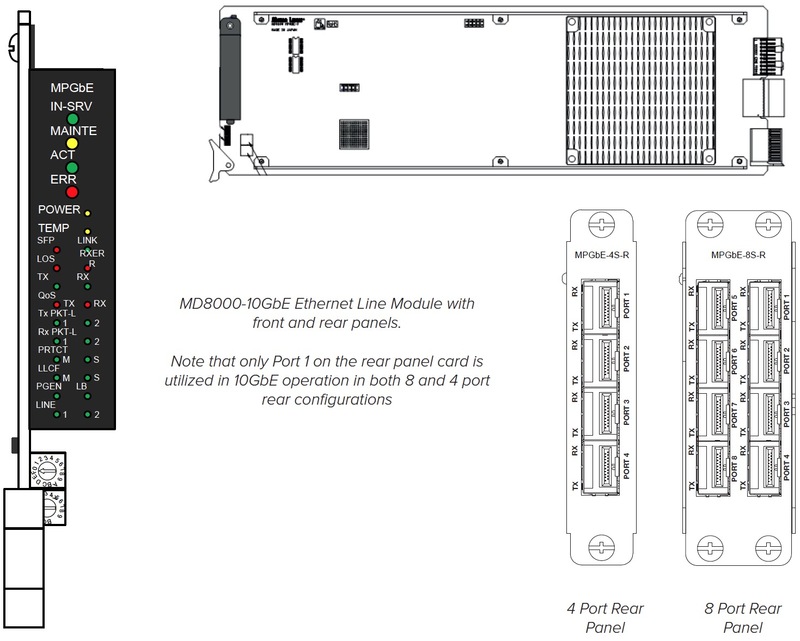 As a line card in a MD8000 chassis, the 1x 10GbE Ethernet module offers a single 10Gbps Ethernet port with hitless switching for uninterrupted, robust data service. The card provides bi-directional hitless switching for customer data traffic between endpoints while providing fiber trunk path diversity between those same endpoints.